수철화상은 통일신라 후기의 승려로, 본래 심원사에 머물다가 뒤에 실상사에 들어가 수도하였다. 진성여왕 7년(893) 5월 77세로 이 절에서 입적하자 왕이 시호와 탑명을 내렸다고 한다. 비문에는 수철화상의 출생에서 입적까지의 행적과 사리탑을 세우게 된 경위 등을 기록하고 있다. 그는 실상사에서 입적하였으나 심원사의 승려이었기 때문에 비문에는 ‘심원사수철화상’으로 적고 있다. 비문을 짓고 쓴 사람은 알려져 있지 않으며, 마멸과 손상이 심한 편이다. 탑비의 형식은 당시의 일반적인 탑비 형식과는 달리 거북모양의 받침돌 대신 안상(眼象) 6구를 얕게 새긴 직사각형의 받침돌을 두어 그 위로 비를 세웠다. 비를 꽂아두는 비좌(碑座)에는 큼직한 연꽃을 둘렀다. 머릿돌에는 구름 속에 용 두마리가 대칭하여 여의주를 다투는 듯한 모습이 조각되어 있고 그 앞면 중앙에는 ‘능가보월탑비’라는 글이 새겨져 있는데, 조각수법이 형식적이고 꾸밈이 약화된 경향이 뚜렷하다. 비의 건립 연대는 효공왕(재위 897∼912)대로 추정되고, 글씨는 당대를 전후하여 성행한 구양순체를 따랐다. 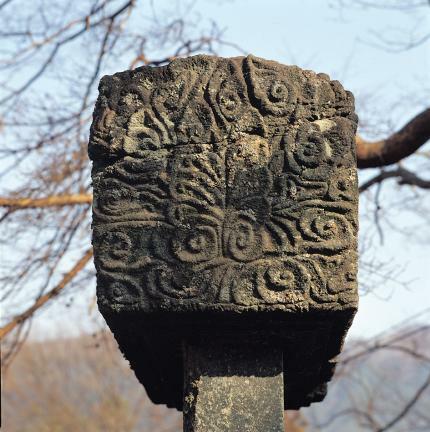 This stele was built to commemorate the life and achievements of Buddhist Monk Sucheol at Silsangsa Temple. Sucheol, a monk of the late Silla Dynasty, led an ascetic life at Silsangsa after leaving Simwonsa Temple. 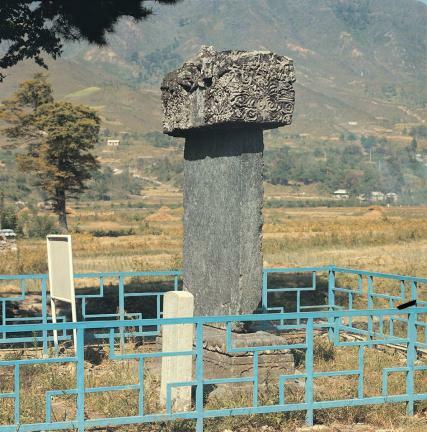 Upon his entry to Nirvana at the age of 77, Queen Jinseong granted him and the stupa posthumous names in 893 (the seventh year of the reign of Queen Jinseong). 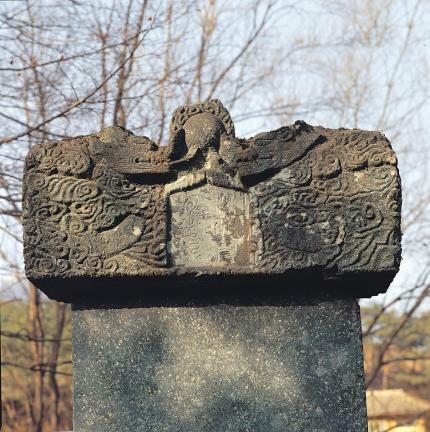 The stele, which is defaced and worn, carries an inscription about the life of Sucheol from birth to death, including details about the construction of a stupa for him. 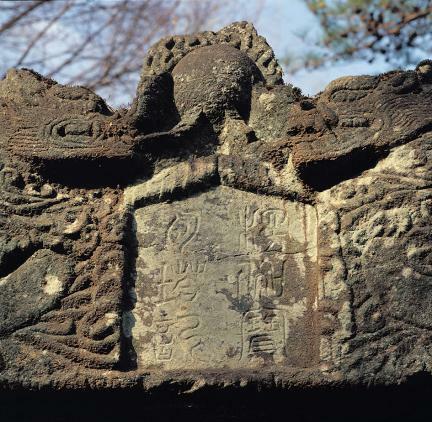 Although Sucheol died at Silsangsa Temple, the inscription refers to him as Buddhist Monk Sucheol of Simwonsa Temple. The identity of the author of the stele’s inscription is unknown. 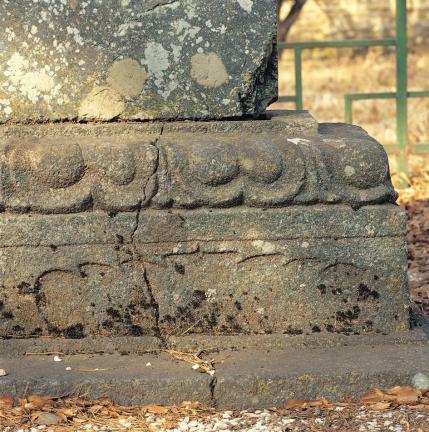 Unlike the general style of steles at that time, this one does not have a tortoise-shaped pedestal; rather, the pedestal has a rectangular stone engraved with six panel decorations; and the base of the stele is decorated with a huge lotus flower design. Two dragons are engraved in a symmetrical pattern on the head of the stele, as if fighting over a magical bead. The center of the head of the stele is inscribed with the words “Neunggabowoltapbi” (Neuggabowol Stele). The overall style of engraving is formal with little ostentation. 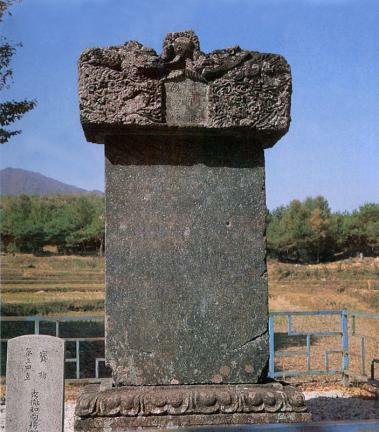 The stele is thought to have been erected during the reign of King Hyogong (897-912) and follows the calligraphic style of Gu Yang-sun, a famous calligraphic artist of ancient China, which was popular around that time.